When you go shopping, are you confused about which cut is pork loin and which is pork tenderloin? Imagine picking up one in the market only to find out that you need the other when you get home! This article seeks to explain the key differences between the two. When a cookbook talks about a pork loin recipe, it often calls for a top loin roast. In terms of texture and flavor, pork loin is mildly flavored and is relatively lean with a thick layer of fat. The meat turns white when cooked and is often recommended in low-fat diets. The thick, fatty layer retains the juicy flavor while cooking and can be trimmed off after cooking. Keep in mind that some markets label this as a center-cut roast. It can be sold boneless, measuring 5 inches (12.7 cm) across. It is also available bone-in, or with the backbone removed and the meat trimmed off of the ribs (i.e. Frenched). 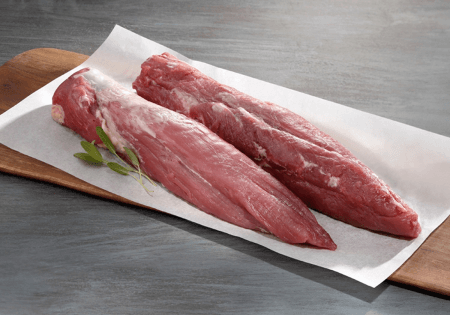 Pork tenderloin (i.e. pork tender, pork filet) is a small cut of lean meat from the muscle that runs alongside the pig’s backbone. It is a boneless cut, sold whole at an average weight of 1 pound and size of 10-12 inches long. 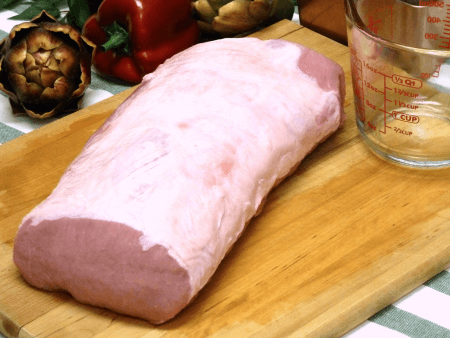 Pork tenderloin is the most tender portion of pork because it is the least exercised part of the pig. This gourmet cut requires quick, hot cooking to produce that prized melt-in-your-mouth texture.